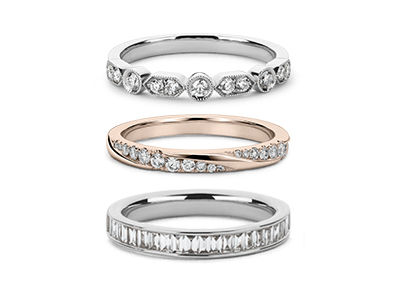 We're offering a 10% discount on all Wedding & Eternity Rings with your Engagement Ring purchase from us. Any of these items added to your basket with your Engagement Ring will have an automatic 10% applied. Should you choose to purchase your Eternity or Wedding Rings at a later date, the promotional code will be in your confirmation email. *Please note you are not able to use this offer in conjunction with any other promotional offer.